Discover the new trends in Big Data with Radica - With over 17 years of experience in direct marketing technology innovation and consulting services, Radica was commissioned to develop the first-ever big data analytics and open data sharing platforms for the Office of the Government Chief Information Officer (OGCIO) and Data Studio @ Hong Kong Science Park, as well as many other private and public sectors big data projects. 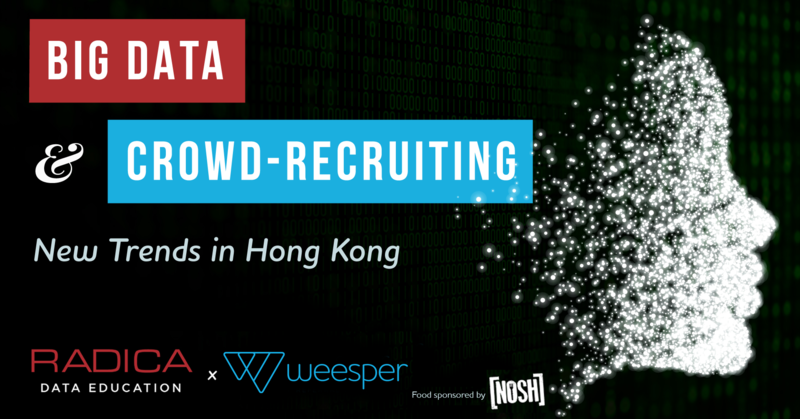 Find out from Weesper how you can use technology and new ways to get connected to your network and candidates more efficiently, making hiring easier than ever. The event is co-organised by Radica System Limited and Weesper. Our healthy networking food will be served to you by NOSH. Beers and Wine will be served.